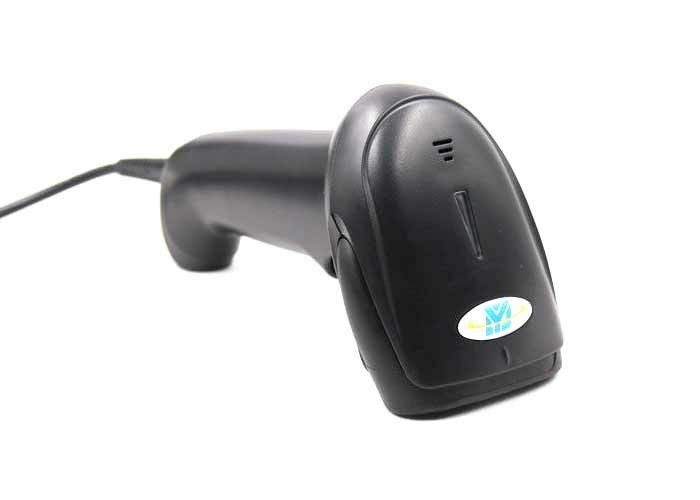 DS5100G is a high-performance 1D barcode scanner with leading CCD image recognition technology. It can easily read the paper, goods, screen and other media barcodes. Widely used in manufacturing, warehouse, logistics, health care, retail chain, mobile payment, express delivery, inventory management, food traceability, asset inventory,etc. ☆ Ergonomic design, comfortable using. ☆ Interface: USB, wireless 2.4G. ☆ Dual mode: wired, wireless, Ultra-low power consumption, continuous working time 20h. ☆Transmission distance 200m, intelligent automatic connection when it’s beyond range, not manual setting. ☆Widely used in supermarket, warehouse, mobile payment, chain stores. Symbologies UPC-A,UPC-E,EAN-8,EAN-13,ISSN,ISBN,Code 128, GS1-128,ISBT 128, Code 39,Code 93,Code 11, Interleaved 2 of 5,Matrix 2 of 5,Industrial 2 of 5,Standard 2 of 5(IATA),Codabar(NW-7),Plessey,MSI Plessey,RSS,China Post,etc. Data cable(charging cable) USB, connect the scanner to a host device and charging. Receiver Used to receive and transmit scanner data. 1. What's the shipping way ? A: There are DHL,Fedex,TNT, UPS.We also can ship the goods by your shipping account or other express agent you provided. 2. What's the payment way ? A: We accept PayPal ,T /T,LC , Western Union , MoneyGram. 3. How about your product warranty ? A: Our officially promised warranty time is 1 years after delivery. 4. Is OEM or ODM available? Yes.We are the factory directly.We can make it as your requirement. With well packed carton by foam and plastic film to advoid goods damage. 5. where I can get the support ?